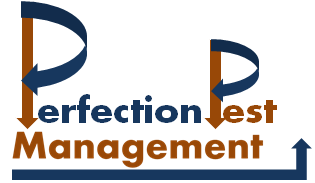 Why use Perfection Pest for your termite inspections? Professional! All inspections are done by a uniformed, name tagged, individual who will arrive in a clean logoed vehicle, promptly on time. Knowledgeable! All inspections are done by Owner Allen Lehman an Associate Certified Entomologist with 14 years of experience. Honest! Our goal is to provide a truthful inspection, recommending treatments only when necessary. Affordable! We feel at $65.00 our inspection is fairly priced, but we will not lose your business over a few bucks. We will match any other competitor’s fee. 24hr turnaround! Our plan is to have you the final report within 24hrs. The clock starts when we get the request and stops when you have your report. 1 year guarantee! If we provide a clean report and make a mistake missing termites we will treat the problem at no charge. We will also re-inspect the property any time within the year. We meet all Des Moines Area Association of Realtors requirements and have ActiveKey access!